The CoffeeShop Blog: CoffeeShop "Auto BlogBoard 6 Images" Photoshop/PSE Action! CoffeeShop "Auto BlogBoard 6 Images" Photoshop/PSE Action! If you purchase any of my download packs you help support this site and get all of my favorite actions/presets/digital designs from my blog in one simple download. And this month you also get my premium watermarking action kit and Magic Retouching Makeup Kit (not found for free here on my blog) as a gift with purchase of the Action/Preset and Mega Download packs. You also get free updates for up to two years after your purchase (just email me), which is really nice since I try to update the packs with new stuff weekly. Today I have a really handy photographer storyboard action to share with you. 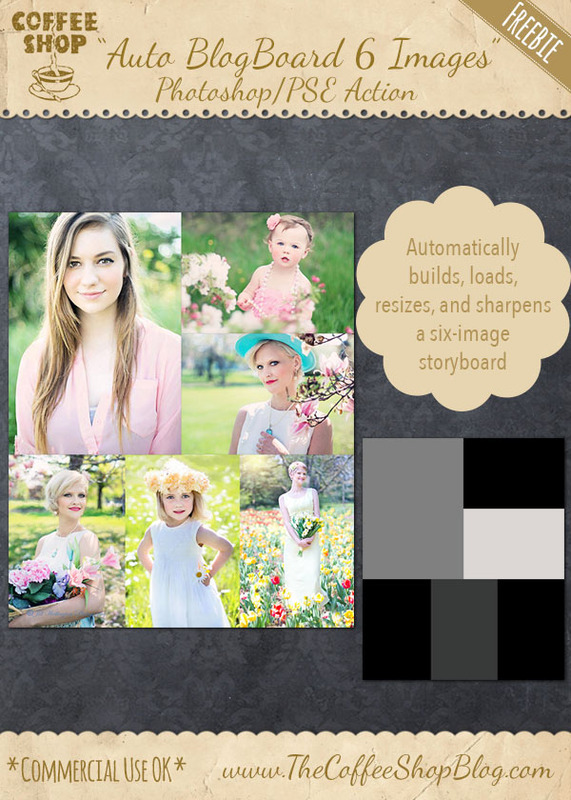 This Photoshop/PSE action automatically builds a web-sized six-image storyboard, loads your images, flattens, resizes, and sharpens for the web. If you would rather have a layered psd file where you add images using clipping masks rather than an action, you can grab this storyboard here. When you start the action it will build this storyboard. Then the action will prompt you to load your images, in the order seen above. 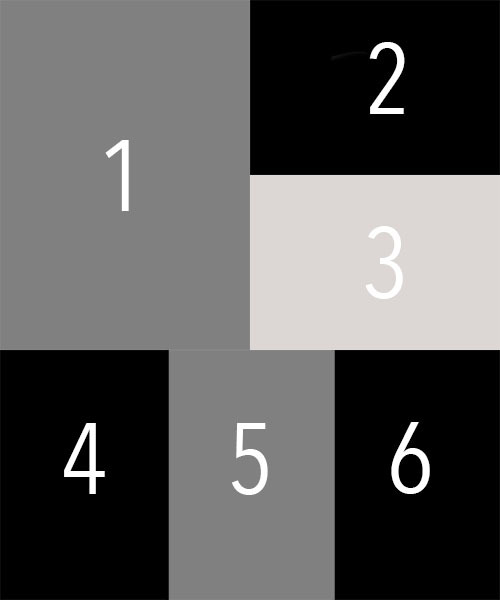 When the image opens, just drag it to position and resize to taste, then press Enter or the check mark. After all the images are loaded the action will allow you to resize (1000px wide or less) the storyboard, and it will be flattened and sharpen for the web. If you are using Photoshop make sure to hold the shift key while changing the size or the image will distort. This is not necessary in PSE. It takes about a minute to create your storyboard!!! Download the CoffeeShop "Auto BlogBoard 6 Images" Photoshop/PSE Action. You can also download it here.